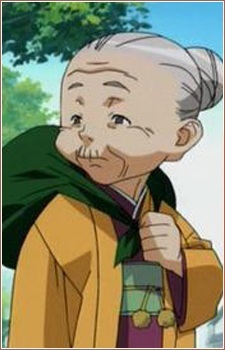 Hinata Urashima also known as Grandma Hina, is the original manager of Hinata. Upon retiring so she could travel the world she entrusted Keitaro with looking over the Hinata Inn. In the manga, Grandma Hina knew all along that Naru was the girl Keitaro promised to go to Tokyo U with. She also knew the location of the Liddo-Kun shaped time capsule Keitaro, Naru, and Mutsumi buried beneath the sandbox when they were children. Despite only appearing briefly in the manga and anime, her visits and actions have a profound effect on everyone, especially Naru and Keitaro.